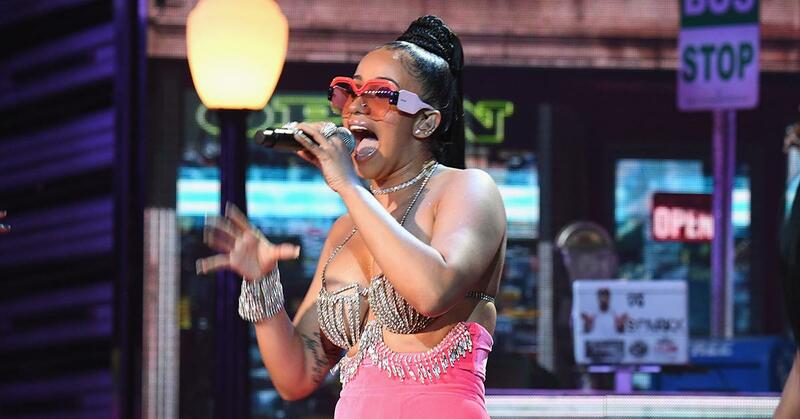 Three weeks ago, rapper Cardi B became the first female rapper in 19 years to reach the number 1 spot on Billboard's Hot 100. Her song, Bodak Yellow, knocked Taylor Swift's Look What You Made Me Do off the top spot. And now, Cardi B has broken a new record. According to Billboard, her reign has now outlasted the only other single from a female rapper to reach the top spot. Lauryn Hill’s Doo Wop (That Thing) held the number 1 spot for two weeks in November 1998, and Bodak Yellow has now beaten that record. "Bodak Yellow" is now the longest running solo female rap #1 in Hot 100 history. It may have some issues holding onto the number 1 spot, though. Post Malone and 21 Savage’s Rockstar is holding onto the number 2 spot, and has already taken over Bodak Yellow on the Streaming Songs chart. J Balvin and Willy William's single, Mi Gente, featuring Beyonce, is also a threat, with the song jumping from 21 last week to number 3 this week. People seemed divided by the news. It topped the US Billboard Hot 100 chart for three consecutive weeks, making her the fifth female rapper to ever lead the chart, and the second to do so with a solo song, following Lauryn Hill's "Doo Wop (That Thing)" in 1998. "Bodak Yellow" also received nominations for Best Rap Performance and Best Rap Song at the 60th Grammy Awards.